What follows is the Privacy Statement for all Silatmerpatiputih Web Site websites (a.k.a. blogs) including all the websites run under the http://www.silatmerpatiputih.org/ domain. 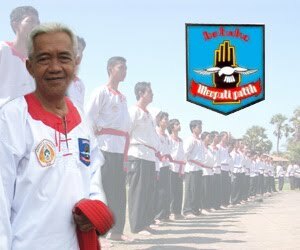 Silatmerpatiputih Web Site is the sole owner of any information collected on our websites. Most Silatmerpatiputih Web Site websites contain comment sections (a.k.a. message boards). We do not actively monitor these comments and the information on them is for entertainment purposes only. If we are alerted to something we deem inappropriate in any way, we may delete it at our discretion. We use email validation on most of our message boards in order to reduce “comment spam.” These email addresses will not be shared with any third party. We will make every effort to preserve user privacy but Silatmerpatiputih Business Web Site may need to disclose information when required by law. If Silatmerpatiputih Web Site is acquired by or merges with another firm, the assets of our websites, including personal information, will likely be transferred to the new firm. 0 Response to "Privacy Statement "